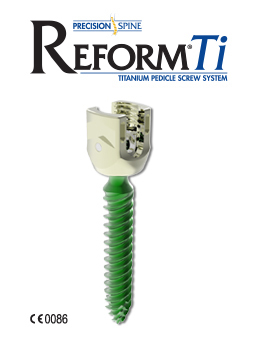 The Reform® Ti Pedicle Screw System provides surgeons increased flexibility, versatility and visibility to meet the varying requirements of degenerative and trauma procedures. 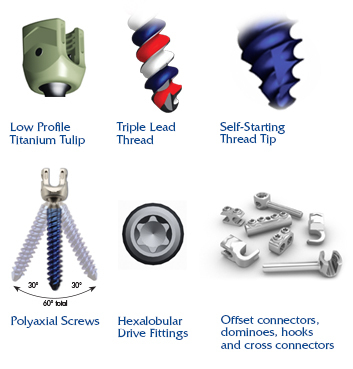 Reform Ti features a titanium tulip and triple lead thread to deliver strength, stability and efficiency to all thoracolumbar constructs. A more aggressive, self-starting thread tip and a T25 drive feature allows for more immediate bone engagement, reliable insertion and maximum control during insertion. Copyright ©2018 Precision Spine, Inc. All rights reserved.